British Gas staff should use their voting at next month’s AGM of parent company Centrica to reject the “obscene” pay rise of boss Iain Conn, says UNISON. Iain Conn, the chief executive of Centrica, is due to receive a £2.4 million pay package – 109 times the £22,000 average salary of call centre staff – in a year when 2,000 employees are losing their jobs. His 44% pay increase of £660,000 is the equivalent of the average yearly pay for 30 call centre workers at the energy giant. It comes in the wake of two bill increases for consumers in a matter of months, a profit warning and major job losses. UNISON is now calling on employees, who have stakes in Centrica through a share-saving scheme, to reject his remuneration package at the company’s AGM. Working with ethical campaign group ShareAction, UNISON has called on major institutional investors such as union pension funds to show their opposition to the huge award, at a time when British Gas is making massive staff reductions to cut costs. 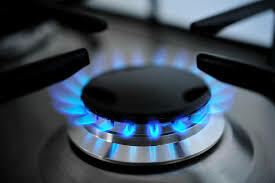 UNISON says the huge increase is particularly galling to staff as it comes just a week after the company announced 500 jobs are to go at British Gas sites at City Park in Glasgow and Canal Street in Leeds. Iain Conn’s package includes two bonuses of £388,000 each which are closely linked to him overseeing the current job reduction measures. As Iain Conn’s pay rises, British Gas employee salaries continue to fall behind the cost of living (wage rises have not been linked to the retail price index for the past five years), says UNISON. UNISON’s national officer for energy Matt Lay said: “This obscene pay rise shows a total lack of empathy for the situation of employees who are struggling to make ends meet or who may soon be losing their jobs. “It’s impossible to defend when there are cutbacks throughout the company. Staff should make a stand at the forthcoming AGM.